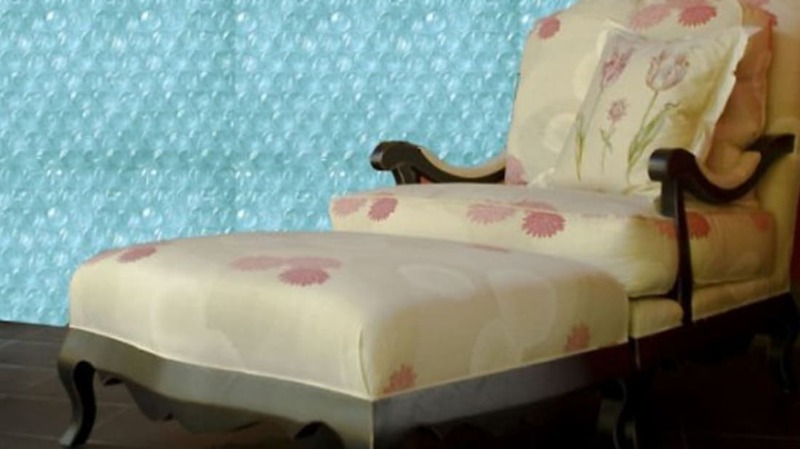 Bubble Wrap's original purpose was far from what we use the product for today. But the wallpaper idea didn’t sell too well. Undeterred, Fielding and Chanvannes decided to market their invention as greenhouse insulation. Though the material did offer somewhat of an insulating effect, this idea didn’t pan out popularly, either. It wasn't until three years after the origination of their invention that Frederick W. Bowers, a marketer at Sealed Air, which made the product, finally came up with the perfect use for it. On October 5, 1959, IBM had announced their new 1401 variable word length computer. Bowers got the idea that Bubble Wrap could be used as a good packaging material to protect the computer while it was being shipped. He pitched the idea to IBM and demonstrated Bubble Wrap’s protective abilities. His demonstration went over well, and IBM began purchasing Bubble Wrap to protect their 1401 and other fragile products they sold and shipped. From those humble beginnings, Sealed Air has grown to annual sales of around $4 billion, with a net profit of around $255 million. About 10 percent of its revenue comes from Bubble Wrap, so around $400 million worth of Bubble Wrap is sold annually.